In this project, you will learn how to set up a continuous integration and continuous delivery (CI/CD) pipeline on AWS. A pipeline helps you automate steps in your software delivery process, such as initiating automatic builds and then deploying to Amazon EC2 instances. You will use AWS CodePipeline, a service that builds, tests, and deploys your code every time there is a code change, based on the release process models you define. 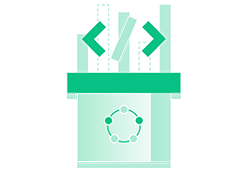 Use CodePipeline to orchestrate each step in your release process. As part of your setup, you will plug other AWS services into CodePipeline to complete your software delivery pipeline. This guide will show you how to create a very simple pipeline that pulls code from a source repository and automatically deploys it to an Amazon EC2 instance. Create a release pipeline that automates your software delivery process using AWS CodePipeline. Connect a source repository, such as AWS CodeCommit, Amazon S3, or GitHub, to your pipeline. 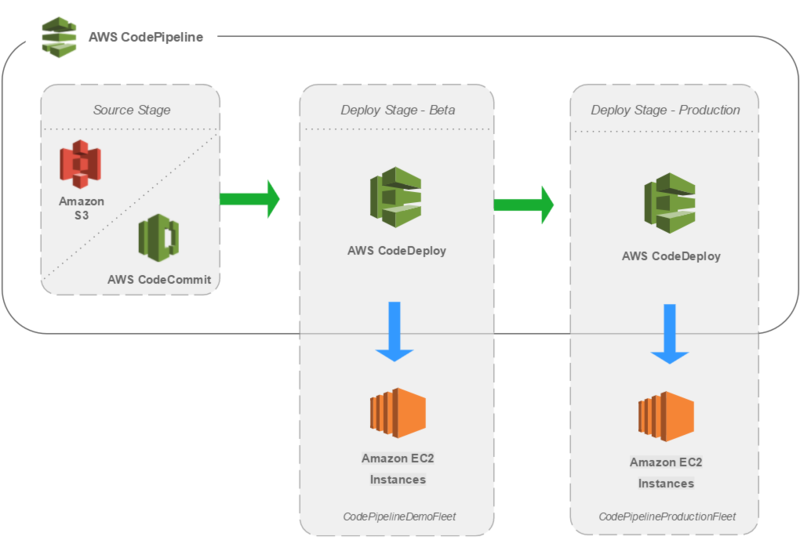 Automate code deployments by connecting your pipeline to AWS CodeDeploy, a service that deploys code changes committed to your source repository to Amazon EC2 instances. (Optional) Plug in a build service such as Jenkins when you complete the Four-Stage Pipeline Tutorial. An AWS Account: You will need an AWS account to begin setting up your continuous integration and continuous delivery pipeline. Sign up for AWS. AWS Experience: Intermediate familiarity with AWS and its services is recommended. AWS permissions: Before you build your CI/CD pipeline with CodePipeline, you may need to set up AWS IAM permissions to start building. Click here for step-by-step instructions. The total cost of running a CI/CD pipeline on AWS depends on the AWS services used in your pipeline. For example, AWS CodePipeline, AWS CodeCommit, Amazon S3, and Amazon EC2 are all AWS services that you can use to build your pipeline - and each product has a different pricing model that impacts your monthly bill. Monthly charges will vary on your configuration and usage of each product, but if you follow the step-by-step instructions in this guide and accept the default configurations, you can expect to be billed around $15 per month. Most of this cost is from leaving the EC2 instance running. To see a detailed breakdown, see Services Used and Costs. Set up a continuous integration and continuous delivery (CI/CD) pipeline on AWS with the help of industry-leading tools and experts. Learn more about continuous delivery and how it can improve your software development process. Need more resources to get started with AWS? Visit the Getting Started Resource Center to find tutorials, projects and videos to get started with AWS. Learn more about the flexible services designed to enable companies to more rapidly and reliably build and deliver products using AWS and DevOps practices.